My love affair with the Cane Corso started when my husband was researching for a guard dog after our Rottweiler passed away at an early age. 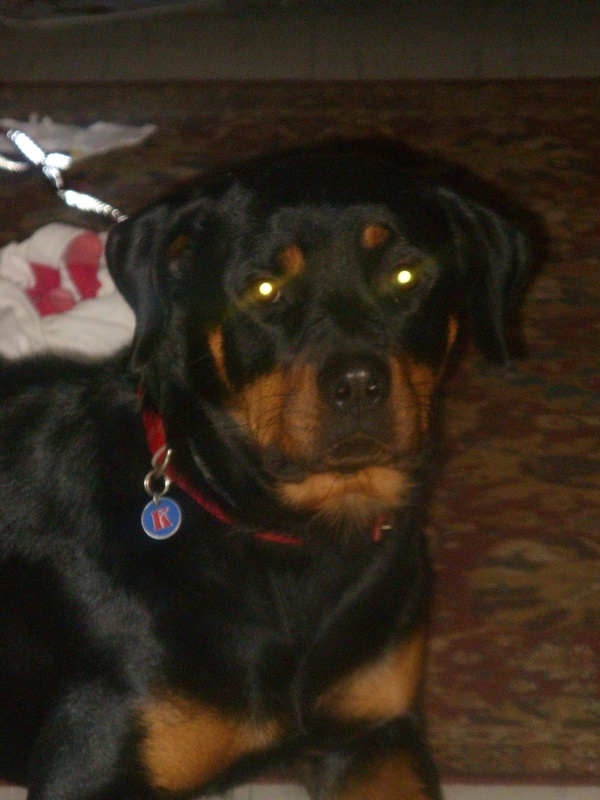 Our Rottweiler, Kayla had an abnormal heart condition due to bad breeding practices. We did not do our research before we purchased her but we loved her anyway. The veterinarian told us to keep her as an inside dog and make her as comfortable as possible. She lived to be about 3 years old. When she passed away we were very sad. She was great with kids and a fearless protector. Kayla is greatly missed. My husband heard about the Cane Corso from his friend. He was impressed with the breed's characteristics. I was a little apprehensive about having such a big dog in the house. But when I found out the Corso was a light shedder, a family guardian and had a stable temperament with proper socialization, I was sold. The Cane Corso is a dominant breed and not for the first time dog owner. We have dealt with dominate breeds in the past and we were up for the challenge. We purchased our first Cane Corso and we fell in love! Benelli was everything we wanted him to be. He has a strong drive but he is good with his family and children that we work with. He is a fierce protector and we feel safe with him on our property. Zoraya is a 20 month old Cane Corso(pronounced KAH-NAY KOR-SO), who shares her home with Constance Cherry. They have recently been certified through TDINC in March 2013 as a therapy team. Zoraya is very laid back, great with children and loves to shake paw to hand. She frequently accompanies Constance to work and socialize with preschool aged children. Zoraya was picked from the breeder for the potential to do therapy work and she has earned her title as a therapy dog. Zoraya is a conformation dog and is working towards her Championship title(Ch.) She has already earned her Canine Good Citizen title(CGC). With her striking presence and soulful eyes, Zoraya is always the talk of the room. Zoraya is definitely a gentle giant and an ambassador for the breed. If you would like to schedule a visit with our therapy team feel free to contact us by email at essencecanecorso@live.com, title it Therapy Visit. She is currently visiting troubled youth at the Shelby County Juvenile Detention Center through the P.A.W.S. program. We hope to make our mark on these young children lives!